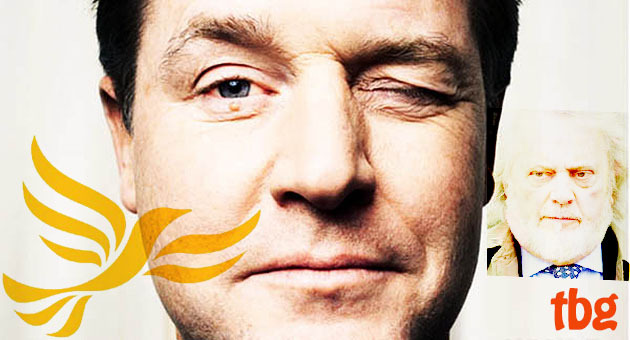 TheBlueGuerilla: Mike Hancock MP Dumped as Portsmouth South Lib Dem Parliamentary Candidate. Mike Hancock MP Dumped as Portsmouth South Lib Dem Parliamentary Candidate. PORTSMOUTH SOUTH Liberal Democrats have dumped scandal prone Mike Hancock as their parliamentary candidate an decided to search for a new representative for the 2015 General Election, TBG can reveal. The move comes after a Portsmouth Lib Dems Councillor, Eleanor Scot, sensationally quit yesterday over a vote that allowed Mike Hancock MP to keep is cabinet position on the Lib Dem Council, even though he has had his Party membership revoked. Hancock slammed the decision by his colleagues telling local reporters - "I’ll make the decision whether I stand as an MP or not when I decide, not when people are trying to make a decision when they know it will be impossible for me to be involved in it. "I don’t think that it’s a very fair thing to do. I’d have thought they at least owed me that to wait for the civil case." More revelations came yesterday when The Sunday Express exposed numerous counts of alleged incompetence against Hampshire Police with regards to the Mike Hancock fiasco. The alleged victim revealed that even before investigating the police warned the her that she was up against it in terms of getting a conviction. Reports also allege that Hampshire Police failed to provide private facilities to the woman in order to go over the claims, failed to take proper action in regards to details of Hancock's body, and even had faulty equipment when they visited the victim. It's being seen as yet another blow to the integrity of the force which has today led to calls for Scotland Yard to re-investigate the allegations. Vernon-Jackson will no doubt be selected.